Cute and clean. Modern, updated and energy efficient! Quality laminate wood- look flooring throughout. All new energy efficient Monte Verde windows and sliders for lots of natural light and energy efficiency and safety. Good size rooms. Large linen closet storage next to bedrooms. Spacious master has 2 closets with 1 walk-in and large slider to rear yard. Kitchen has newer ss appliances with a gas range. Solid surface granite-look counter tops. Breakfast bar and lots of counter space. Cherry wood cabinets with accents. Living room/family room has fireplace. Dining room has slider to side yard with covered porch for shade. Large wood deck for sun and fun! All copper plumbing, Central A/C and heat. 1 year old roof and more! Sparkling community pool and basketball courts are within a couple minutes walk. 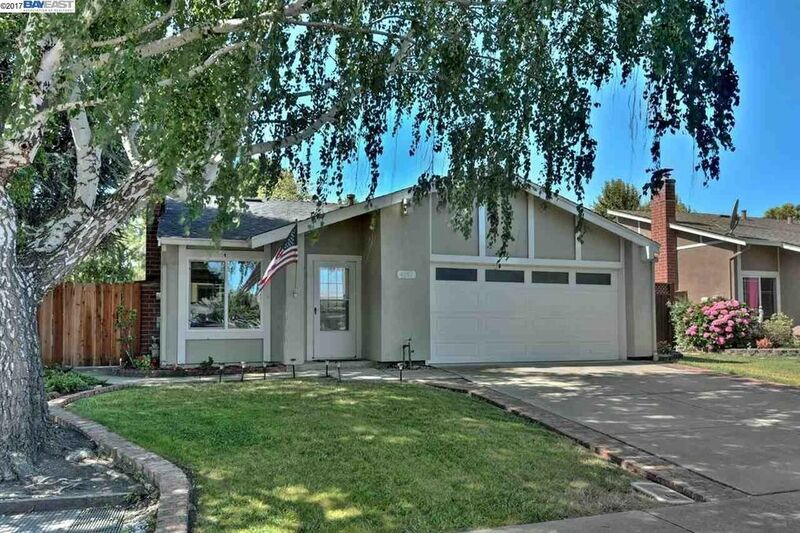 Close to 2 neighborhood parks, walking trails, shopping and the Poppy Ridge Golf Course. Great for commuters...near freeway, bart, train.